I remember buying my first grill. It was a Weber charcoal kettle style grill and I had no idea what I was getting myself into, however I somehow figured out how to stack the charcoal and get it lit. Although it was pretty intimidating process, the first bite of the burgers and the hot dogs I made that day was just the beginning of a beautiful relationship and I am now happy to share these 5 basic tips for smoking any meat. Now fast forward to the present day… a few years ago I began smoking cuts of meat, brisket is my favorite, and now I smoke and grill meat every chance I get. Tip #1: The most important tip I can give you is to have patience and never hurry your cook because low and slow with a smoker is key to creating your masterpiece. 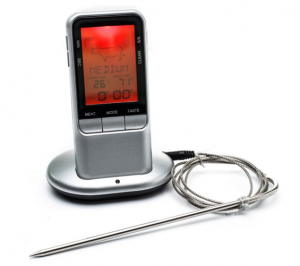 this issue… get a digital meat thermometer that will read your meat’s internal temperature throughout your entire cook. Here are a few digital meat thermometers that are affordable and will get the job done. Tip #3: Be sure to experiment with your cooks. You never know what you will come up with, try different rubs, and marinades. Never tell yourself that “I cant do that” because you can, just do it.I can still remember the very first time I smoked anything, it was a brisket. I made my own basic homemade rub for it using chili powder, cumin, pepper, salt, and garlic powder. The brisket took approximately 15 hours in the smoker and it was worth every minute of waiting. Tip #4: When the cook is finished and I remove my masterpiece from the smoker, I almost always wrap it in alum foil, and then wrap it in a towel and let it sit for about 45 mins to an hour. This will help the juices redistribute throughout your meat making it juicy as can be. Trust me, you won’t be disappointed! Tip #5: One very important thing to know is that I have learned what I know today from experimenting, learning from others, reading, and of course failing and learning from my mistakes. Never be afraid to fail because you will always learn from your mistakes and the next time you will improve upon them. Lastly, I have to admit that my favorite thing about grilling and smoking meat is watching others try what I have created. The compliments I get alone are reward enough, not to mention the awesome food I get to eat. 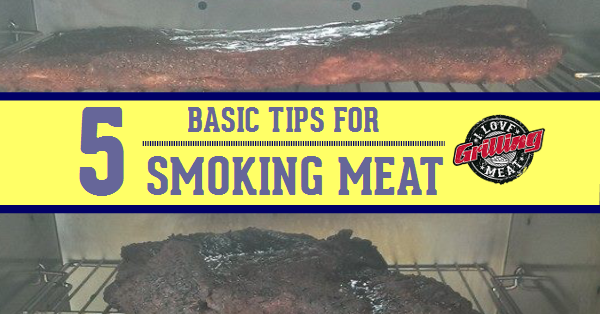 I hope you received value from these 5 basic tips for smoking meat. If you did, please share this article with your friends through the social media buttons around this post. Smoked Beef Ribs Recipe (BBQ Beef Ribs) Follow along with this smoked beef ribs tutorial and you will surely be amazed at your results! When shopping for beef ribs, try looking for the same things that you would be if you were shopping for steak (for example, a lot of marbling). Beef ribs come from the same cut of meat as your rib roasts (prime rib on qualifying animals), so in most cases you will have good meat anyways. These tips sound great. 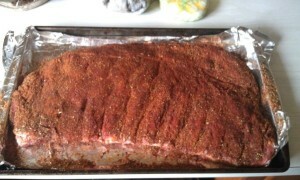 I will be trying my first smoke tomorrow on a Brinkmann vertical smoker. I will be sure to use these tips to make a great beef brisket. Awesome Brian, please let us know how it goes!